With the New York Comic Con this past weekend, industry news was a stir, including Marvel’s latest endeavor, the upcoming Netflix series, Daredevil. Delving right into the magic, we’re introduced to Boardwalk Empire‘s Charlie Cox, who is now, our new Daredevil. Loeb shed some light on the casting explaining Joe Quesada called him years before Fox receded the rights of Daredevil back to Marvel, telling him he’s found the perfect guy, and you guessed it, he was Cox and the rest was fate. So I guess the question is: what can we expect from the series? Well, it’s gritty, as shown by an intense apartment to alley way fight scene with our vigilante in all black, slightly getting pummeled, well no – really getting pummeled. But the show promises to highlight the grey area of Daredevil himself, as well as the world he lives in. There’s no doubt being a prosecutor by day and a masked vigilante by night, doesn’t come with its share of blurred lines. Enter Rosario Dawson’s character, Claire Temple, “the nurse who works at night.” Though Dawson couldn’t make an appearance at the panel, viewers were treated to Nurse Temple’s and Matt Murdock/Daredevil’s first scene together. As she offers a culmination of sass and compassion in caring for his wounds, Dawson per usual, steals the scene. It could be through Claire that we see a tie-in to the Luke Cage series, as she dated him in the past. 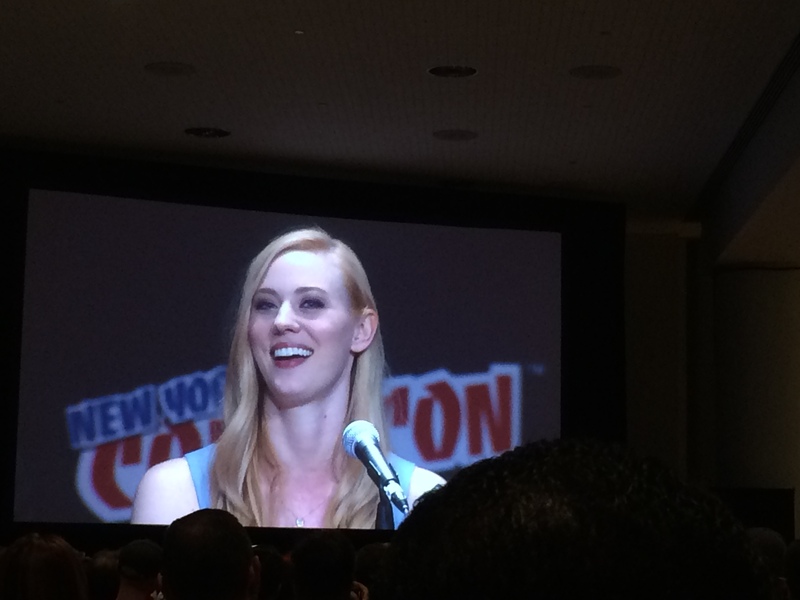 In addition to Dawson, the cast includes True Blood‘s Deborah Ann Woll (Kronner’s Dream Girl) as Karen Page, with Vincent D’Onfrio as Wilson Fisk (aka the Kingpin), and Eldon Hensen as Foggy Nelson. All of whom were in attendance on Saturday. 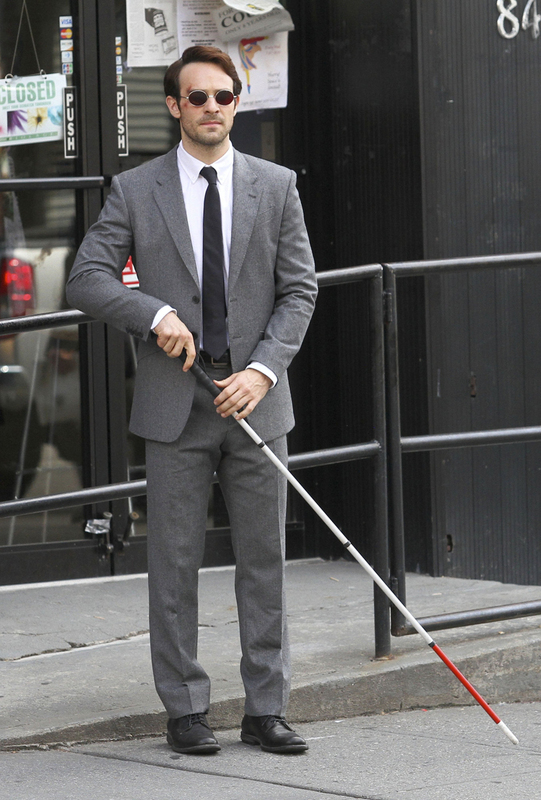 Now, Matt Murdock is the titular character, but that doesn’t mean viewers will always agree with his actions. The audience may at times even side with Wilson Fisk, who has been described as equal parts “child and monster” by Jeph Loeb. So I’m sure the dynamic between Fisk, Murdock and the rest of the cast will be one to watch out for. Overall, Daredevil will be a darker, grittier series (more than a current on-screen Marvel series that shall go un-named) that could tie-in into the larger Marvel Universe. And dare I say it, we’re pretty flipping excited. Previous PostHarmontown: You Will Believe A Man Can Self Destruct!Next PostRetroN 5 – The Ultimate Console For Retro Gaming?